Norway seems to be making the same poorly thought-out choices as Britain. It has apparently not occurred to these authorities that encouraging Muslims in prison to study the Quran and hadiths, with their exhortations to jihad against the "infidels", may in itself serve to radicalize the inmates. "These calls to action are one reason why we have seen an increase over the last few years in the number of lone terrorist attacks in the West. The likeliest scenario for a terrorist attack in a Western country is an ISIL-/AQ-inspired attack carried out with a simple weapon against a target with little or no protection". "Lone wolf" attacks are rightly described as an actual terrorist strategy, rather than what the media likes to describe as random "mental illness". In addition, this threat assessment now fits all of Europe. "Immigration to Europe will influence the terrorist threat in various ways in the coming year. One of the problems we expect to face is the radicalization of asylum-seekers, migrants and illegal immigrants in Norway. Attempts may be made to radicalize members of these groups by other migrants at reception centers or by visitors. As in previous years, individuals who support and sympathize with extreme Islamist organizations will arrive in Norway in 2017". The security risks inherent in unvetted migration are clearly spelled out by the PST. Migration to Norway in 2016 was at a record low of 3,460 asylum seekers -- the lowest since 1997. The reason, according to Norway's Directorate of Immigration, is that "... border and ID checks in Europe have had a decisive effect on numbers of arrivals in Norway". Even so, the Directorate of Immigration estimates that double that number, or around 7,000 asylum seekers, will arrive in Norway in both 2017 and 2018. "Radicalization in prisons is a phenomenon that will become more common in Norway in 2017. There are a number of individuals currently in prison as a result of national investigations of travelers to Syria, and in 2017 more of them will be prosecuted for violation of the terror provisions in Norwegian law. This means that there will be an increasing number of prisoners in Norway who have played a role in extreme Islamist groups here and who also have operational experience gained abroad. It is likely that extreme Islamists will retain their convictions in prison and attempt to radicalize others. Attempts have already been made to radicalize other prisoners, including individuals sentenced for gross violence". Radicalization happens on a large scale in prisons, amply illustrated by experience in British prisons. The most recent example was Khalid Masood, who targeted the Houses of Parliament and Westminster Bridge, murdering four people and injuring at least 50 others in a stabbing- and car-ramming attack. Masood is thought to have been radicalized while serving time in prison. This trend is likely in Norwegian prisons as well. The PST, however, perhaps out of a lack of experience with imams in Norwegian prisons, appears to overlook an important source of radicalization. The British government review of extremism in British prisons, for example, revealed that Muslim chaplains, who are appointed by the Ministry of Justice, were distributing radicalizing literature -- misogynistic and anti-gay pamphlets and tracts endorsing the killing of apostates -- to inmates. The author of the review, Ian Acheson, said that he found staff lacked the training to confront and deter Islamist extremist ideology, and were often fearful that if they did, they would be accused of racism. Norway, nevertheless, seems to be making the same poorly thought-out choices as Britain. In 2015, Ringerike prison said it planned to introduce imams into the prison. "We are now about to enter into a partnership with an imam who will conduct seminars for Muslims," prison governor Håkon Melvold told VG newspaper. "In addition, we will create philosophy groups with participation from various faiths." Terje Auli, prison chaplain at Oslo prison, said that prisons should help Muslims to practice their religion. "It is obvious that we counteract extremism when we facilitate the practice of religion in prison," he said. It has apparently not occurred to these authorities that encouraging Muslims in prison to study the Quran and hadiths, with their exhortations to jihad against the "infidels", may in itself serve to radicalize the inmates. Why should Islam play any role in prisons to begin with? 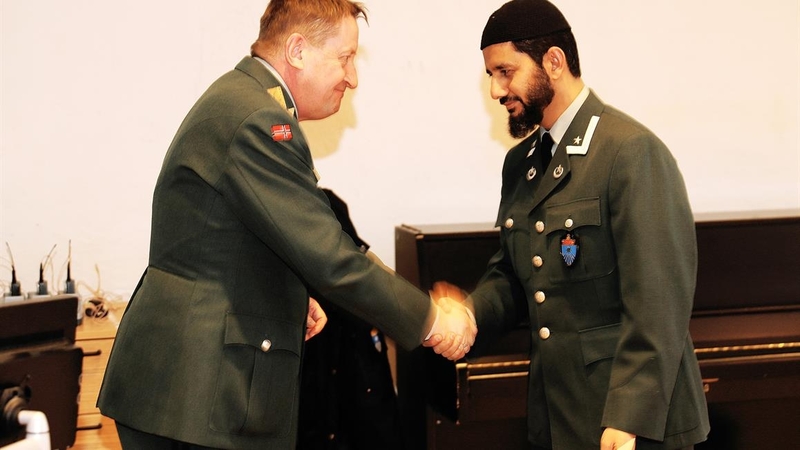 Norway recently appointed a Pakistani-educated imam, Najeeb ur Rehman Naz, to be the first Muslim chaplain of the Norwegian military. Before the appointment, Norwegian military chaplains were exclusively Christian. In 2012, the military itself suggested the introduction of chaplains representing "other religions and life philosophies". There was a small uproar when it came to light that a year earlier, Najeeb ur Rehman Naz had given online advice to a woman in a forced marriage to the effect that although he considered forced marriage wrong, once she was in the marriage it was her obligation to respect the duties and responsibilities of the marriage. He backed up this view with a reference to the Quran -- which, oddly, some Norwegian politicians found to be surprising. Why should an imam educated in Pakistan not cite the Quran when giving advice? Moreover, the idea that imams might tell women to stay with their husbands, regardless of whether or not their marriages were forced, should not startle anyone who has even the most rudimentary knowledge of women's subjugated position within Islam. Repeatedly, Western societies seem "surprised" by their own willful blindness when it comes to Islam. In the case of Norway, the Police Security Service has laid out clearly the dangers of radicalization and the extant risks of jihadist terror against Norway. But is anybody listening? Giving Korans to prison inmates is just the same as giving matches to convicted pyromaniacs. When does this European brinkmanship come to a halt? This is the epitome of naïvity, the Norwegian military taking in the ranks and files of the instigators of jihad terror. The overall stupidity, when it comes to knowledge of the ideology of Islam, is for all to see. The Norwegians, themselves void of faith, cannot comprehend people with a "religion" bent on destroying others. Western politicians don't seem able to revise their preconceptions about religion. They think all religions are basically benign or just harmless. They have not taken the trouble to study Islam and are constantly surprised when it fails to match their preconceptions. Mad. But these western leaders would rather appease this evil instead of fighting it with the truth. The one thing Muhammad can not stand is truth. That is why the blasphemy law. Truth is blasphemous to the Qur'an. Obviously the elite controlled press is complicit in the spread of this ignorance. I have never seen one article in the western press that has ever told the truth about Muhammad and his murderous, thieving history. Muhammad will rot in hell with the many other false prophets like Joseph Smith. Muhammad can't stand in the light. nobody is listening, or at least, nobody is willing to admit that he is listening, because if he did, he might be accused of racism or "islamophobia." the nazis have finally taken europe. The most important part of this article is the final question: is anybody listening? Well, the answer is NO. When I was a young man, I spent some time in Southampton, England, and I can remember back then, there were some places you could not go, because your life was in danger. I'm talking about places within the city. Supremacist Islamofascism well-described in this article might well be characterized as mental illness, for its barbaric political/religious philosophy. Western Civilization has always protected itself from the criminally insane--until now. Crass stupidity once again the more I read the more convinced I am Europe is as we knew it well done. It looks like civil war is going to be the long term future of Europe. I'm beginning to think that all countries which accept Muslims should have training in NOT becoming involved in Islam. Seriously, all schools and universities should teach the dangers of Islam and how it will ultimately destroy their country if it's allowed to proceed unchecked. One could wonder why any country accepts them at all as they know in advance that there will be trouble at some stage and some innocent citizens will be attacked and probably killed. Previous attacks should be explained in detail, such as the Westminster Bridge, Bataclan, the beach attack in Tunisia, the Nice truck ramming and many, many more - there are dozens I could mention. This may be considered unfair or trampling on people's human rights or some other nonsense but nonetheless, the people's security comes first. Hypocrisy is an art form in Norway. Typical of governments everywhere -- the people charged with making decisions know nothing about the issues they're dealing with, and aren't interested in learning. When the results are bad, they will refuse to admit their policies had anything to do with it, and blame it on something else. Here we have Appeasement Redux! Only a monumental catastrophe, like the fall of France in June 1940 will suffice to convince us our survival hangs in the balance, and just as in 1940 there is a distinct possibility that we will awaken too late. There are some things far worse than "racism"-- yielding to those who twist human decency into tolerance of evil, for example, or yielding to those who exploit the doubts inherent in freedom by offering us the certainties of fanaticism. When we awaken to the prospect of extinction we will know what to do. We will find our Will and fight fanatically to preserve the values that make our lives worth living for and dying for. But the cost of our vacillation will be horrific whether we win or lose. There will be Hiroshimas and Holocausts many times over as the innocents suffer along with the guilty. For those of us whose eyes are no longer closed the time has come to wage total war on the evil infecting our souls. Then shall the eyes of the blind be opened and the ears of the deaf unstopped. Then shall we be granted a chance of redemption. It is long past time to give a quarterly Neville Chamberlain Award for appeasement, with one annual award for the Grand Stupidity Prize. If prizes were given in the art of stupidity, then there would be politicians all over the western world who would be proudly showing their trophies to their friendly liberal elite pals. Although the connection between radicalization and studying the koran whilst taking religious classes with an Imam has been proved time and time again, still authorities allow this to go on. All because the liberal luvvies think that Islam is just another religion, they haven't bothered to read the koran or listen to Muslims who have turned their backs on the religion. No excuses for ignorance and for the failure to understand just what Islam is all about and how it is never going to be a good "religion" for the age we now live in. A crazy unforgivable approach by do gooders who think that all religions are the same and that we all have the right to worship as we please. In the end, the liberals are helping with radicalization and at the same time are feeling content at being so tolerant. Foolish behaviour! The photograph says it all: The Wolf + Lamb to the slaughter. Neverending naivete when it comes to Islam. But the politically correct elite are very strong with their ignorant arguments - which seem sensible to them, because they sound logical and reasonable - they just don't include actual facts! Why are more converts to Islam likely to be radicalised than those born as Muslims? - Because converts are more likely to read the Koran and the hadiths! And the zealous convert heeds every word and rushes to do Allah's bidding! How long will it take for leftists to get it through their heads that resistance to Islam is not racism? Anyone can convert to Islam--and is often the case, the recent convert is the most likely to be "radicalized". Islam needs to be banned in prisons. Mosques need to be monitored, and shut down if so much as a jihadi tract is found in them. Imams need to be questioned for their position on Sharia, jihad, and what they consider an apostate to be. As history has shown us, the "radicals" are quick to silence(murder) the "moderates", who they consider to be apostate. The "apostate" Muslim is the representative of Islam the West should be cultivating. By no means should prisons be encouraging the spread of the most violent religion on earth amongst the most violent in our society. We need to drop the word "radicalize" from our vocabulary. The concept is artificial and erroneous. Muslims are not radicalized. They're Muslims. They ARE. The concepts and precepts taught by their texts and teachers are as they were hundreds of years ago. Nothing has changed. They've just set their sights on the West. And the West is capitulating. It has commenced. The beginning of the end of Norway. What kind of thinking goes on in the Western European mind. Do they not talk to each other, do they not exchange information on personal experience? Alas and alack so goes the continuous downward spiral to cultural suicide. And we can see it here and in Australia, there has to be something in the air, for how else to explain the totally wrong thinking of such a diverse group of leaders. I'm afraid that I don't want to know. The West is dead because it has surrendered all forms of common sense in exchange for insanity. Europe will be under Islam within twenty years the way it is going. Hopefully, with Trump in office as President of the United States, America can avoid this same fate. When a muslim is sent to prison that should be the end of his contact with islam. No imams, no koran, no hadith, no nothing and on release if he is of dual nationality then deported. Whatever his crime. If of sole British citizenship he should be required to report to a police station at least once a week for the rest of his life. It seems that the Norwegians have a large reservoir of stupidity as well as oil. I am constantly amazed at the willful or ignorant blindness of westerners who have presumably attended school and know how to read, but have almost no idea of the philosophy and workings of Islam! Is it hard to learn? No! There is an abundance of information available. Is the evidence clear on Muslim radicalization everywhere? Yes! But repeatedly, Western societies seem "surprised" by their own willful blindness when it comes to Islam. In the case of Norway, the Police Security Service has laid out clearly the dangers of radicalization and the extant risks of jihadist terror against Norway. But are politicians and leaders paying attention--and taking action? Rarely--and poorly! Much of the West does not see the dangers of Islam as being a threat. They evidently feel that the radicals are a "few lone wolves". No, not many are listening. That is why there is a need to keep expounding on the issue and eventually, more will unstop their ears. The biggest danger of all would be our silence to this ever-growing threat to Western democracies and culture. Why shouldn't Norway be stupid like the Swedes and most of Western Europe? Must be something in the water. An interesting study might be to investigate why much of Eastern Europe sees the obvious, and most of the rest of Europe are suicidal idiots. Perhaps it's due to Eastern Europe living under Communism, so they know what living under totalitarianism is like? Apparently, the clod Scandinavian farmer image is true. I don't understand what it is about Northern Europeans that causes them to continually lose sight about what the current islamic invasion and it's relation to future islamic terror. It must be the Scandinavian pigheadedness factor. Another sad, pathetic result of the long term effects of liberal progressivism on the brains of small children from kindergarten to university, from liberal progressive media, etc. all feeding upon itself. These are not the people of Faith who stood up to Hitler and fought for their freedom throughout Europe, but their sniveling atheist grandchildren, the white flag generation. The Muslims have recognized that weakness for years and have been eagerly exploiting it to their obvious advantage. Norway will soon be like Sweden, Denmark, and the rest of EU members falling like dominos. I doubt if it is the intention of the Author of this article , but President Obama set the standard for radical Islam denial. 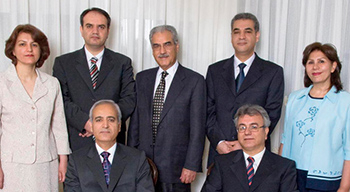 According to one analyst at Clarion, the Muslim Brotherhood directed DOJ consistently erased any evidence of over 100 cases of Islamist terrorist attacks by lone wolfs in his two terms. The day after Obama left office the FBI finally released its findings that the Fort Lauderdale attack was committed by a Muslim acting in concert with the Islamic State. The Orlando LGBT murders were investigated in a manner to cause the public through media controlled agents to appear to place Christians under suspicion, I doubt if most Americans and certainly not DNC subscribers are willing to acknowledge today the fact the murderer was an immigrant Muslim acting as a lone wolf. Mayor Bloomberg who was negotiating a mega million deal with Muslims who were seeking approval to build an unpopular Islamic "Cultural" Center, dubbed the Ground Zero Mosque", and while he was privately negotiating personal million dollar deals to do business in Islamic nations, steered the investigation of a prevented car bombing in NYC towards white supremacists, nearly allowing the Muslim terrorist to escape, if not for a proactive Israeli air lines security net the Terrorist may have escaped. All of which was not made known to the US public. The fact is psychiatrists have described the heinous acts committed by the Islamic State as demonstrative of a group that has collective ASPD with the exception it does not disregard law, it perverts them. Placing or perverting a religious a priori ethnic cleansing of the Caliphate and making way for the 12th Imam above International and civil law that addresses all humans as equals. By using Islamophobia these religious sociopaths or psychopaths if you prefer, circumvent all reasonable behavior; why "rational" and liberal defenders of humanity would give into the logical fallacies they scrupulously apply to Christian institutions to divide church and state is inexplicable and not justifiable. In my on line arguments with Holocaust deniers they tend to fall into one of two groups, Islamist and hard line Socialists, they hate Christianity equally, pretend to have the last word on defining what Christianity is and will define it in the negative. Based on such an obvious logical fallacy their arguments are not arguments at all and more like self-serving hate. It will be left to the people in Europe to clean up the mess made by politicians. All the politicians are concerned about is trade deals with Muslim countries, even though it is a well, known, fact that some contribute money in order to disrupt Western society. But greed and position always come out the winner with these corrupt politicians. They'll have the cash stashed away to help them flee when they see the Muslims taking more control in their particular countries. They'll dive overboard like rats from a sinking ship! For some unknown and extremely strange reason, they are prepared to put the lives of citizens at risk in order to prove their humanity. Little do they know or even understand the dangers they are bringing. I have listened so many times to the lame arguments stating that many of these Islamists are "radicalised" in prisons, but that's rubbish, many are of that mindset long before they enter a prison. The surroundings which they find themselves in just makes it a lot easier to remind them of their religion in its entirety. They put people with the same old chip on their shoulders all in one place and then wonder why it produces an extreme outlook within those who are incarcerated! On top of that, they actually allow Imams in the prisons and leave them to preach what they want without any supervision! Every single European country has fallen for the same tricks over and over again. Governments are terrified of being called "racists or Islamophobes", and they are capitulating to a severe threat that will have a lasting effect on the people and the country in which they live. The politicians have made this mess, and the people should demand that they clean it up! I, as a Brit, have no faith whatsoever in my government to keep the people safe, they have been rolling over and bowing to Islam for years now. If they don't get a grip soon then they'll end up in a public square being executed by the very Muslims they allowed to freely take control of our country! The widely held belief that Lemmings, native to Norway commit mass suicide is actually a misconception. However that misconception may be mirrored in the suicidal tendency of western society to welcome into its bosom the potentially destructive force of a Koran based philosophy. This report from Norway is symptomatic of a malaise that through careless ignorance allows the sinister infiltration of a violent force into countries which hitherto have depended on the rule of laws based on Judeo-Christian values.